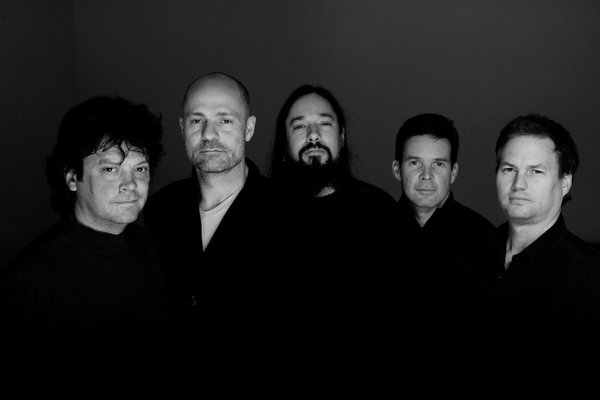 The Tragically Hip have expanded their farewell tour with the addition of four concert dates amid controversy over a first-day fan club presale on Monday. The Kingston, Ontario band announced a third show in Toronto and second gigs in Vancouver, Edmonton and Calgary “due to overwhelming demand” from fans following news that frontman Gord Downie has been diagnosed with terminal brain cancer. The summer tour in support of the band’s forthcoming June 17 album, “Man Machine Poem”, will begin in Victoria, BC on July 22 and wrap up in the band’s hometown of Kingston, ON on August 20. A fan club presale for the new dates starts May 31 at 10am EDT via Ticketmaster, with general public tickets for all shows available June 3 at 10am EDT. An updated tour schedule can be found below. The CBC reports a May 30 fan club pre-sale is causing controversy after tickets were snapped up via Ticketmaster within moments and then re-appeared minutes later at a massive markup on resale sites like StubHub. In Vancouver, for example, at 11 a.m. PT – one hour after they went on sale – all the Ticketmaster tickets for the July 24 show were gone, but nearly 100 floor seats were being offered on StubHub for between $237 and $2,799 US per ticket. The original prices were between $116 and $166 Cdn for the same seats, according to Ticketmaster's website. Fans quickly cried foul over the situation, speculating that scalpers used bots to secure tickets ahead of the fan club members. The backlash prompted StubHub to issue a statement playing up the tour’s uniqueness and charitable component without actually addressing any issues put forward by Tragically Hip followers. “Dear Fans, thank you for reaching out to us regarding The Tragically Hip tour,” stated StubHub. “Over the years, StubHub has donated nearly $2 million in support of charitable events like this one and in support of the artists and charitable intent of this event, we are pleased to make a donation to the Sunnybrook Foundation as well.